Covering your toys and protecting your investment since 1995! Quality Steel Shelters For Just About Anything! 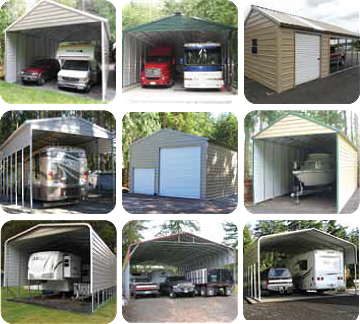 We sell Portable yet Permanent steel shelters, Carports and Buildings. Our structures will give you many years of maintenance free service and lasting protection from the elements. We now offer an optional 6/12 roof pitch with vertical roofing that is ideal for higher elevations and snow areas. With standard sizes up to 30' wide and custom sizes well beyond 30' wide and as long as you like, we can cover just about anything. 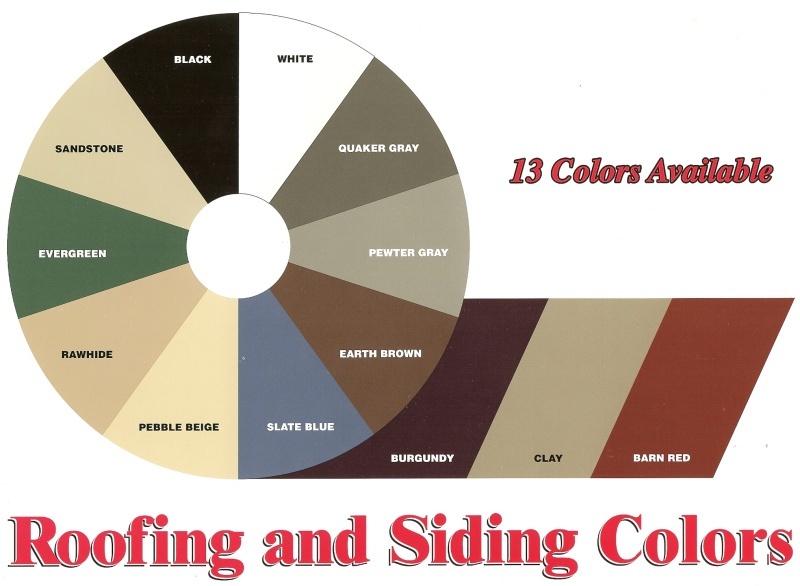 We offer two roof designs, the Standard Roof with round corners, no eaves and horizontal roofing. Roof ribs run lengthwise front to back. The A-Frame with eaves and vertical roofing is our best and strongest roof. Design to fit your needs, whether fully enclosed with windows and doors, or partially enclosed or open. It's up to you. You tell us what you want and it will be built to fit your needs. RV's - Cars - Boats - Animals and more. We Have You Covered. Delivery and Installation is all included in the price. -PRICE- We can usually meet or beat our competitors' prices. Our service, however, can't be beat. We are an accredited member of the Better Business Bureau with an A+ Rating and customer service comes first. -PAYMENT, A small payment by credit card will be due when you place your order. Our website is for browsing at our pictures to give you more ideas. We do business the old fashioned way, we like to talk with you in person or on the phone at which time we will give you a price based on your needs and it only takes a couple of minutes. Call me personally with any questions you may have, I look forward to talking with you. RVs | Cars | Animals | and More! © 2018 STORAGE SOLUTIONS/COVER YOUR TOYS. All rights reserved. Website design and programming by Notable Web Inc.